Compass Mobile is a robust web-application that allows field staff to quickly and efficiently collect data in the field and upload it to Compass in the cloud for instantaneous program tracking and reporting. 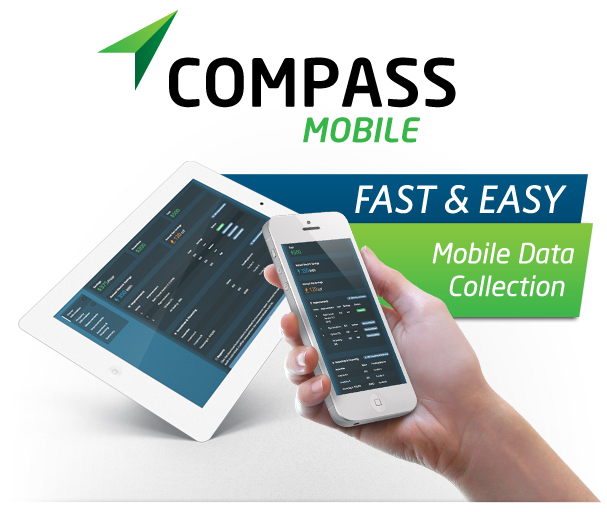 Compass Mobile is going to be the future of KHP…contractors love it! As a program manager with a contractor background, I’ve tried to develop the—Kentucky Home Performance—program from the contractor’s perspective. Compass Mobile makes it so easy for contractors to perform energy assessments in the field. PSD has done a great job! The Mobile Tool is by far one of the best I’ve seen. I’m anxious to get it out to even more contractors and programs around the country. I was always a big-time Compass and Surveyor fan, but with Compass Mobile it has just gotten even more accessible for the contractors. When I go out and show contractors Compass Mobile on a tablet device, that they can use the tool to create a visually engaging homeowner sales report with pie charts, graphs, and energy savings, they are blown away! I’m excited about the future of KHP. We do have to get our program volume up and the only way to do that really, is through Compass Mobile because it’s so darn easy…When I demonstrate the tool to the contractors in the Kentucky Home Performance Program I can perform an energy assessment and generate a comprehensive sales report in under 12 minutes, which is really awesome! When I introduce Compass Mobile to participating contractors they love it! They really see the value of the tool. Contractors are typically reluctant about adding this extra step to their sales process but, once I show them Compass Mobile, they get pretty excited about how quick and easy it is to generate a homeowner report in the field. Compass Mobile is going to be the future of KHP and I’m really excited about it! I play around with it so much. Honestly, I could crank out an assessment while driving down the road! It’s that easy.